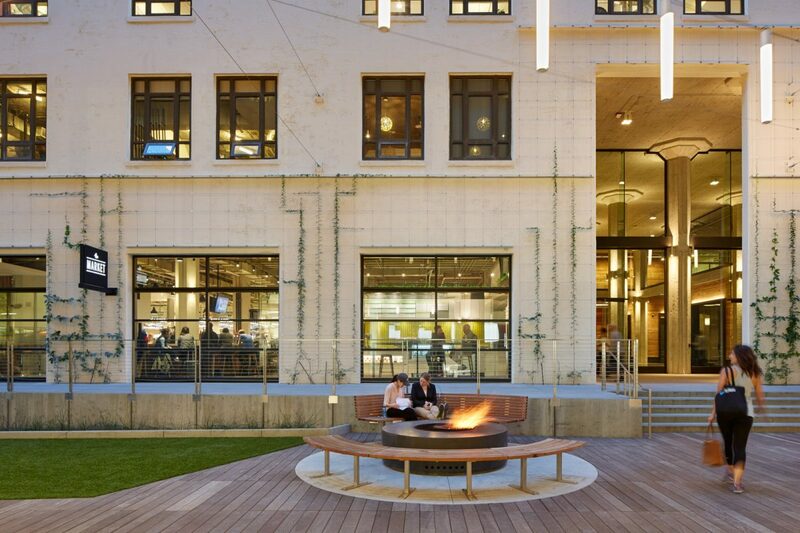 Market Square: the project that Architectural Record deems an "urban game changer." Symbolizing San Francisco’s unique synergy of history and high tech, Market Square and 1 Tenth span an entire block of Market Street in the city’s Mid-Market area. 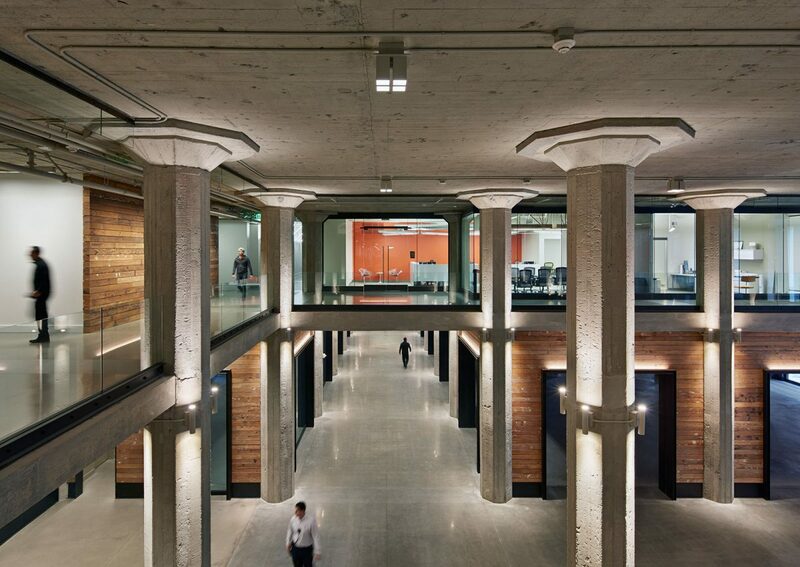 The renovations transform two former retail warehouses into 1,264,182 square feet of Class A creative office space. 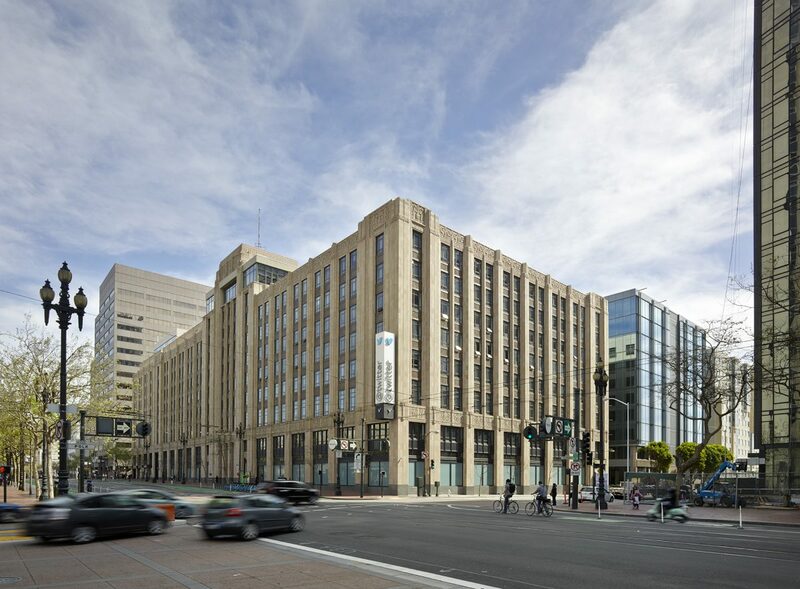 1355 Market, an Art Deco icon built in 1937, has been rebranded as Market Square, but is more popularly known as “the Twitter Building” (Yammer and One Kings Lane are also tenants). 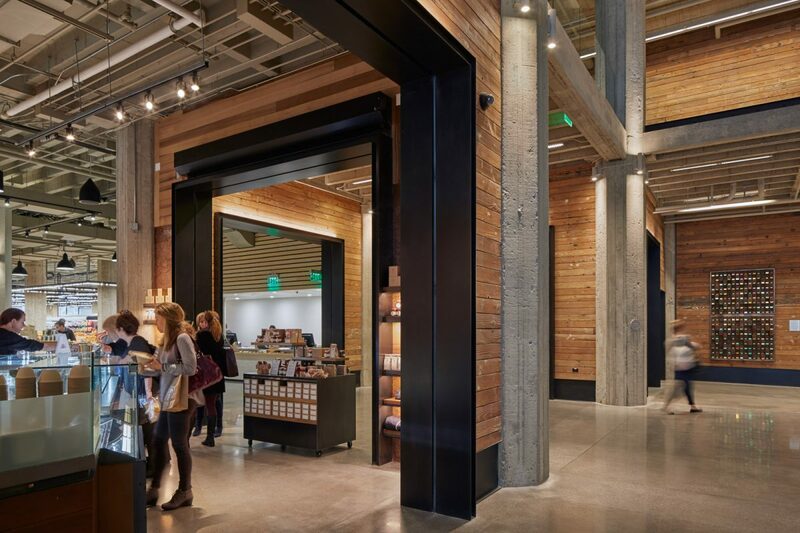 RMW architecture & interiors provided core and shell architectural services for the 863,392-square-foot building, creating a new main lobby which combines muscular raw concrete columns with sleek dark metal. 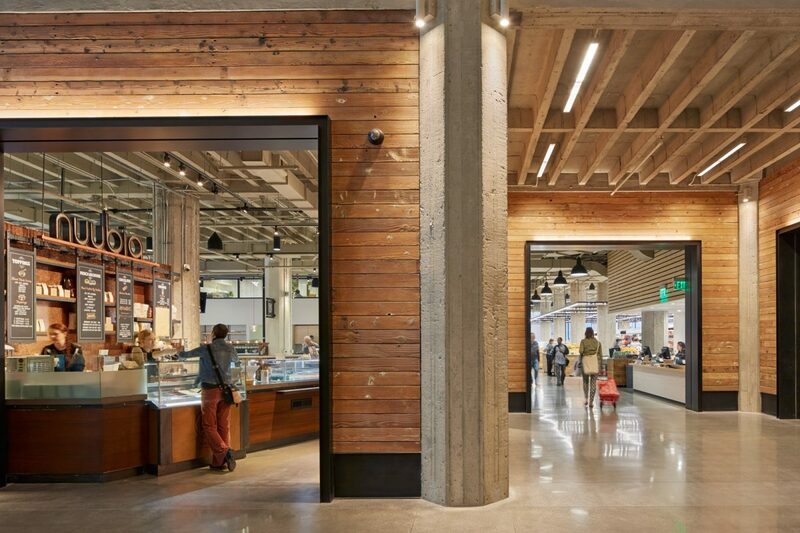 Douglas Fir beams repurposed from a WWII-era rooftop structure add warmth and texture to the walls. 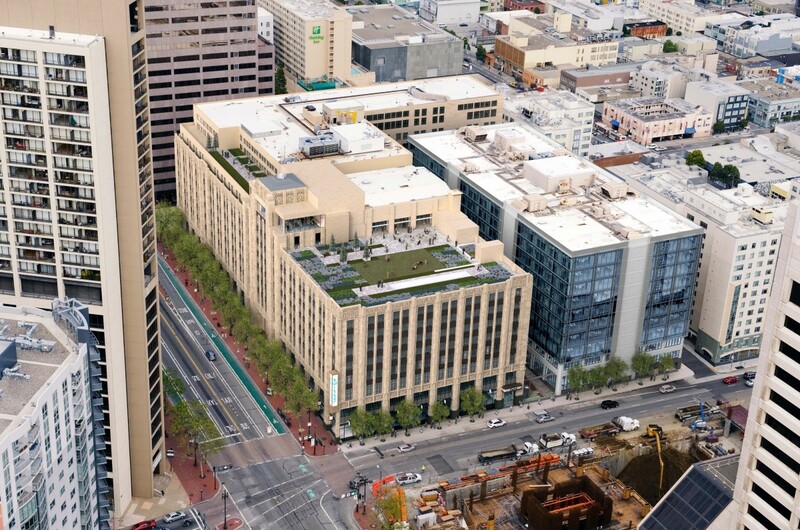 Market Square’s neighbor, 875 Stevenson, has been rebranded as 1 Tenth. Built in the 1970s as a wholesale furniture warehouse, with very small windows and no front door, the 400,790 sf building has been gutted and re-skinned, part of its transformation into a light-filled office building. RMW’s design for the renovation removes exterior walls on floors 3 through 10, allowing for a glass skin that appears to “float” away from the structural frame, creating an transparency that clearly reveals what’s new and what belongs to the existing structure. 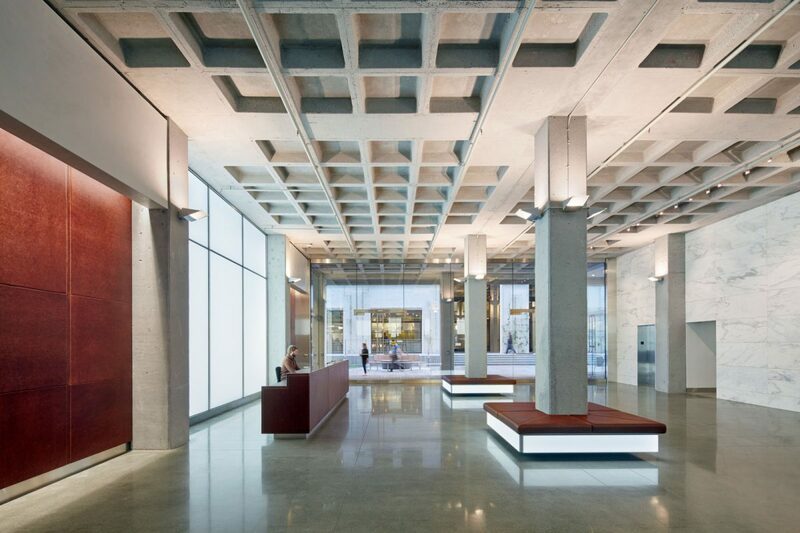 At the ground level, a spacious new lobby features 16-foot-high panels of frameless glass across four bays, allowing views into the interior and displaying the building’s delicate waffle slab ceiling and concrete panels. Inside, the lobby houses six new destination-style elevators and back-lit reclaimed brass filigree. 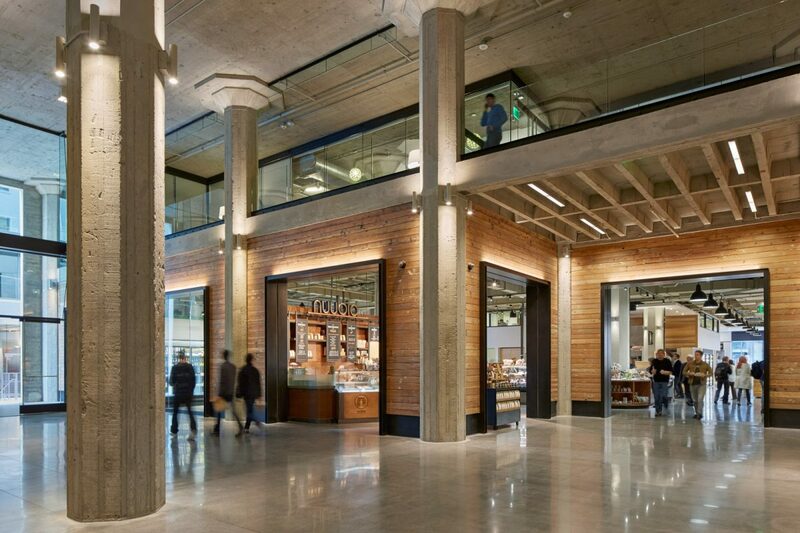 The project is certified LEED® Gold. 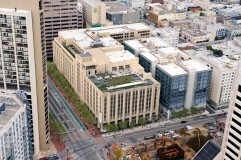 Architectural Walkthrough for Market Square San Francisco – Shorenstein | ZUM – a 3D Company from zūm on Vimeo. 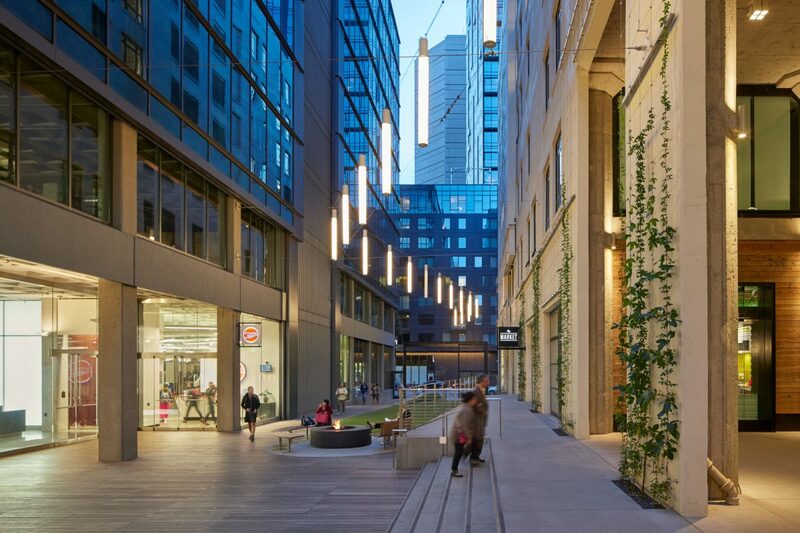 Market Square has been featured in multiple architectural publications as an example of creative reuse in an urban setting, including the February 2014 issue of Architectural Record and the September/October 2015 issue of Urban Land. Award: Market Square’s lobby was awarded Best Large Lobby in Interior Design Magazine’s 2015 MakeItWork design awards. 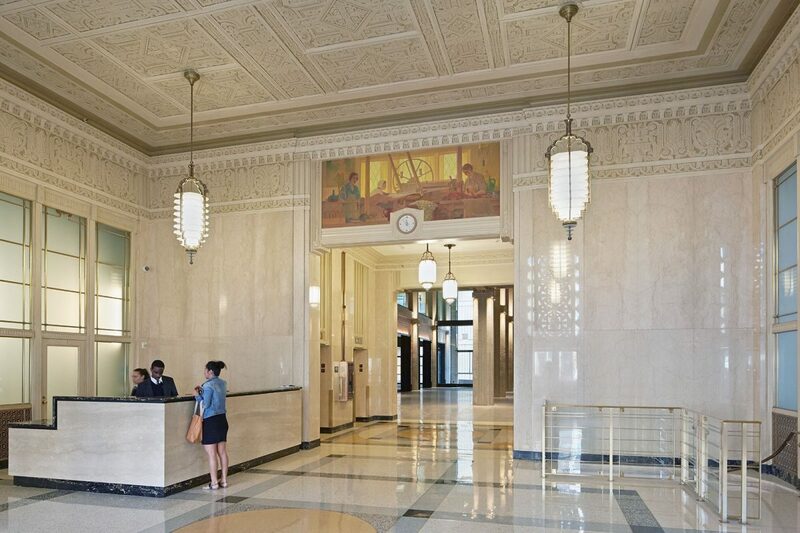 Award: One Tenth was recognized as a 2015 ENR California Best Project in the Renovation/Restoration Category.